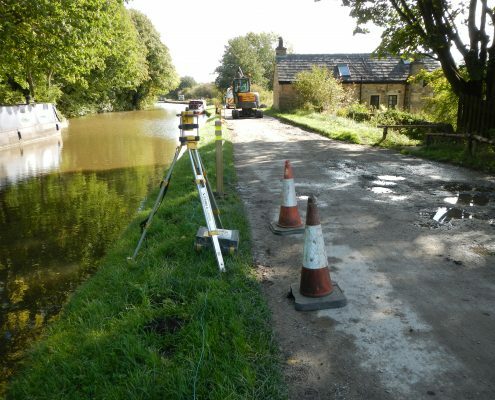 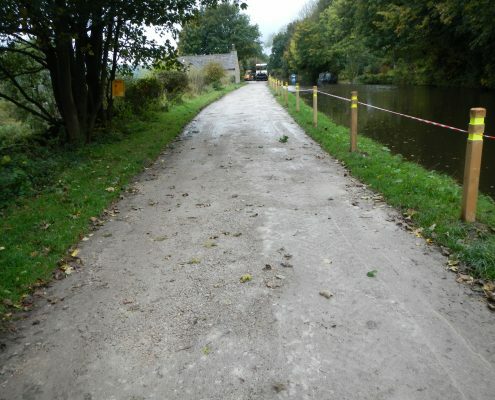 Conservefor were appointed to undertake a towpath improvements along a section of the Leeds to Liverpool Canal at Riddlesden by the Canal and River Trust. 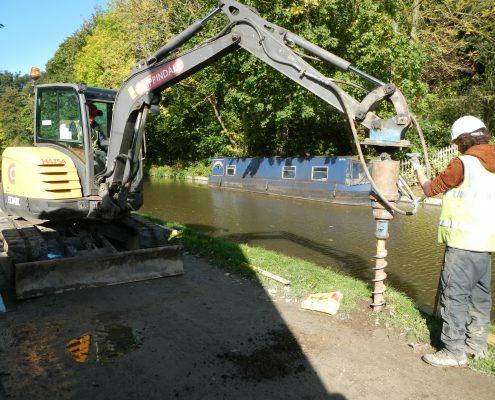 Using a five tonne excavator fitted with a post hole Auger attachment, our team began by installing new safety marker posts. 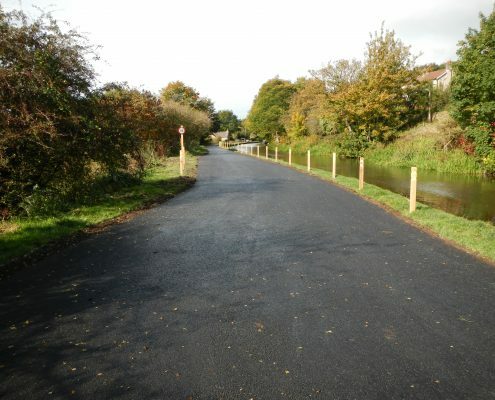 These posts were made in our own workshop and installed along the side of the upgraded towpath. 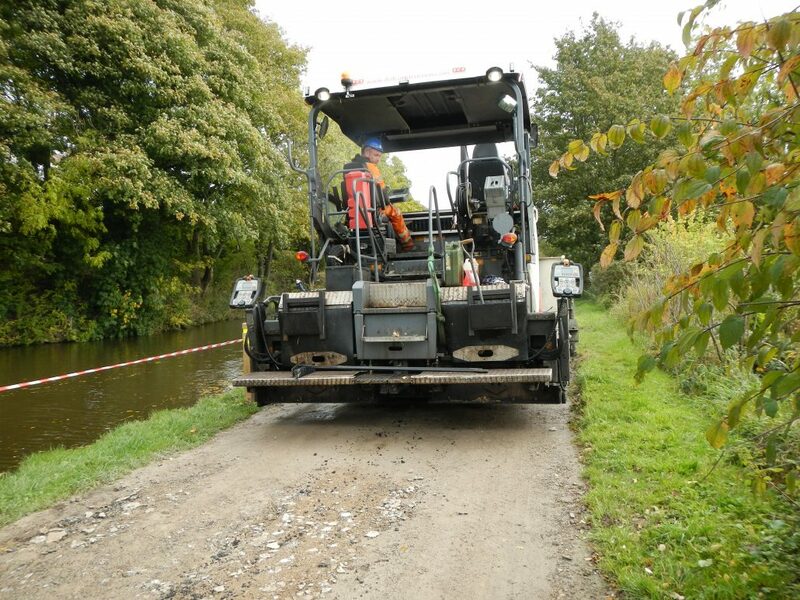 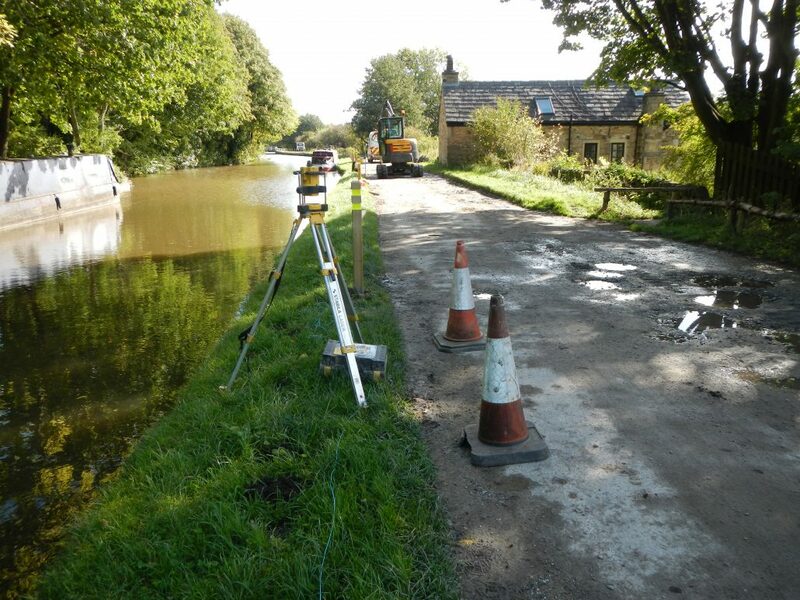 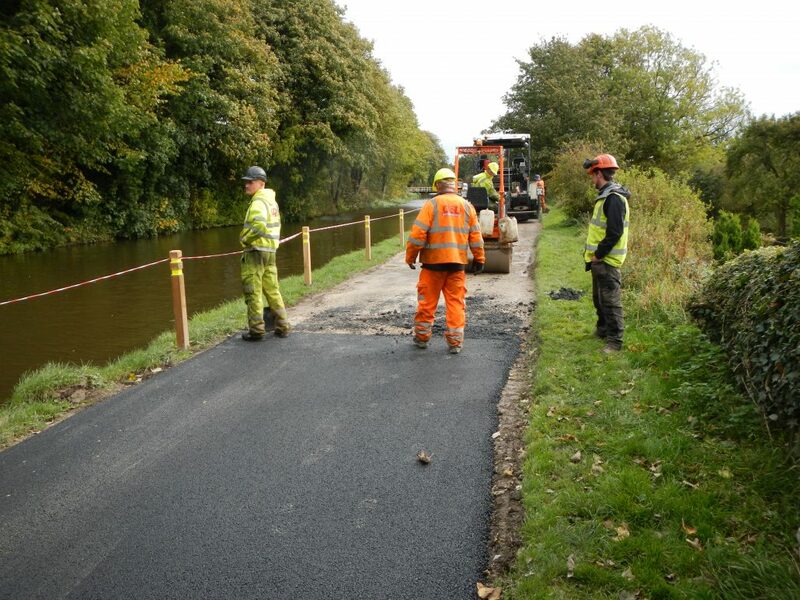 Once all new marker post had been installed, our team began to level and fill in pot holes on the original towpath in order to create a new smooth surface to ensure a lasting bond between the sub base and new tarmac surface. 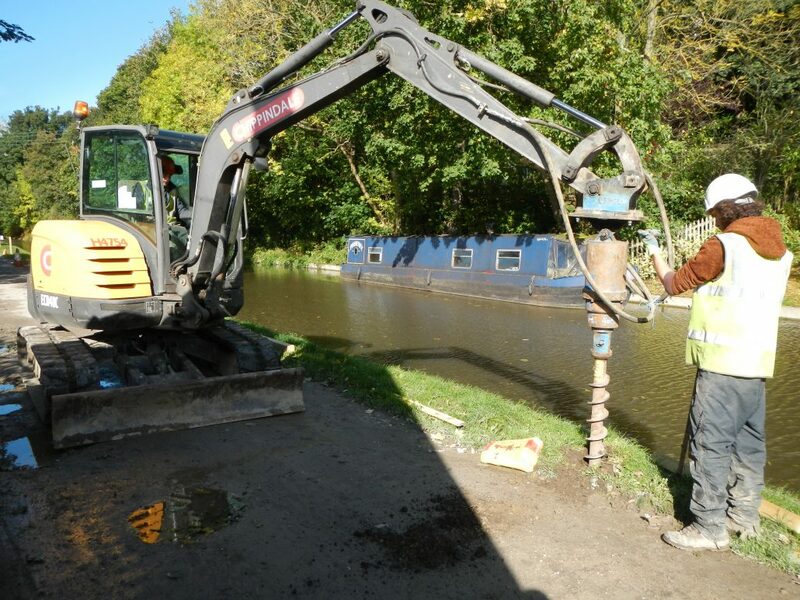 This work was completed using a 5 tonne excavator, 6 tonne wheeled dumper and a further 25 tonnes of aggregate imported from a local quarry. 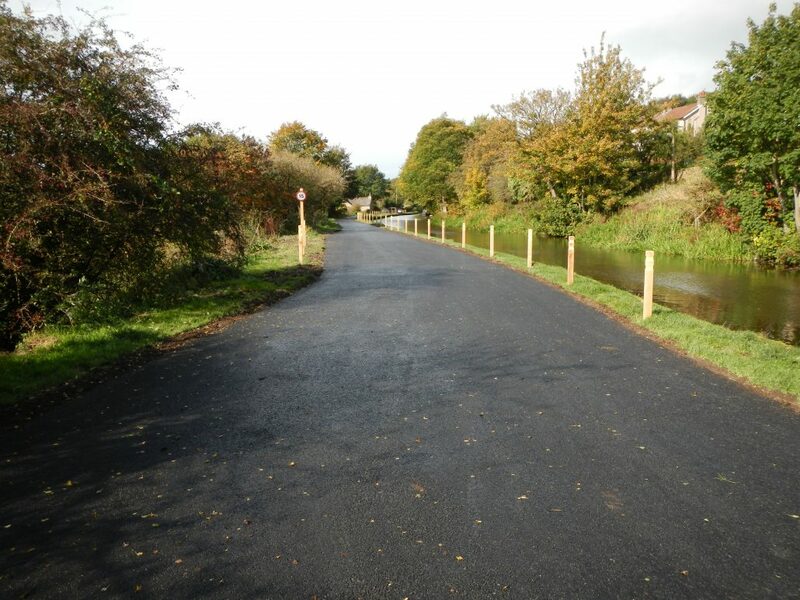 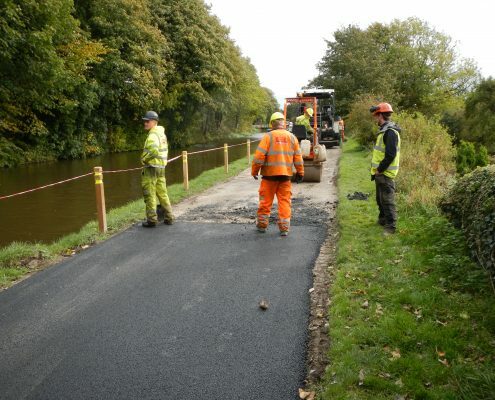 Finally, to complete the towpath improvements, a layer of Tarmac was then laid over the original repaired surface to provide a long lasting surface able to withstand heavy footfall and vehicle use.